The hospital’s state-of-the-art Imaging Centre, spanning over 10,000 sq. ft, houses 3 Tesla 32 channel wide bore Magnetic Resonance Imaging (MRI) scanner with MR guided Focused Ultrasound Surgery (MRgFUS) and High-Intensity-Focused-Ultrasound, 64 slice Positron Emission Tomography–Computed Tomography (PET CT) with cardiac capability. The Catheterization Lab at Nanavati Heart Centre which is the first of its kind in Mumbai, has a team of highly experienced and qualified faculty providing 24x7 Interventional Cardiac Services. 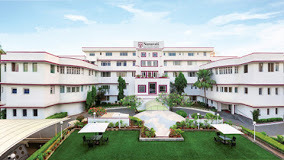 Nanavati Cancer Centre provides comprehensive Cancer Care with organ specific specialist teams in a holistic manner. The hospital offers advanced services for the treatment of heart conditions including Minimal Access Cardiac Bypass Surgery. The Bariatric Surgery (Weight Loss Surgery) program at Nanavati is one of the largest in the region. The hospital provides a wide spectrum of Super Speciality Services in the field of Neurology, Neurosurgery, Urology, Kidney Transplant, Nephrology, Gastroenterology and Surgical Gastroenterology, Liver Transplant, Orthopaedics including Spine Surgery, Joint Replacement & Sports Medicine, Cosmetic & Reconstructive Surgery and comprehensive Mother & Child Care. In addition, process driven Critical Care services, along with the most advanced Diagnostic and Imaging facilities, provide the necessary backbone for holistic, comprehensive and contemporary patient care.